THE SKINNY: This color is my new favorite -- Mermaid's Dream -- a pale aqua with darker blue glitter. It's pretty and simple and just girly enough without being over the top. Plus this polish by Deborah Lippman glided on with ease and has gone strong for a week without chipping. That's all you can ask of a good nail polish, right? 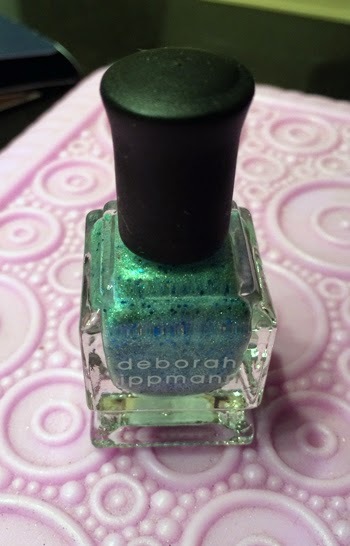 CHECK IT OUT: There are a ton of colors to choose from and shipping is free on the Deborah Lippman Nail Polish site.